Even though it doesn’t feel like summer today, this past weekend was quite a scorcher. Or, as I like to call it, perfect grilling weather. We made our meal almost entirely on the grill. 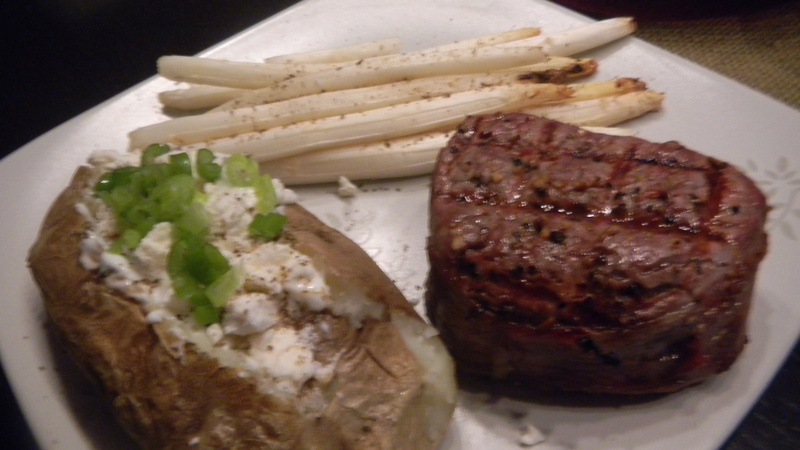 We had some filet mignon steaks that Dan seasoned perfectly. We tossed some white asparagus in a grilling basket, and popped that on the grill too. Finally, we started our baked potatoes off in the microwave and finished them on the grill. Yum. Dessert was made in the oven though. 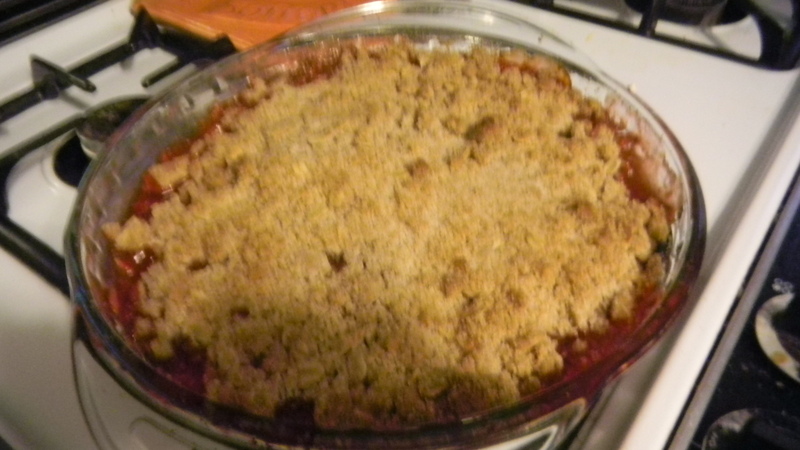 We had fresh strawberry rhubarb crumble. A woman at my work brought in extra rhubarb that she had grown in her home garden, and I took the opportunity to try out a new food. 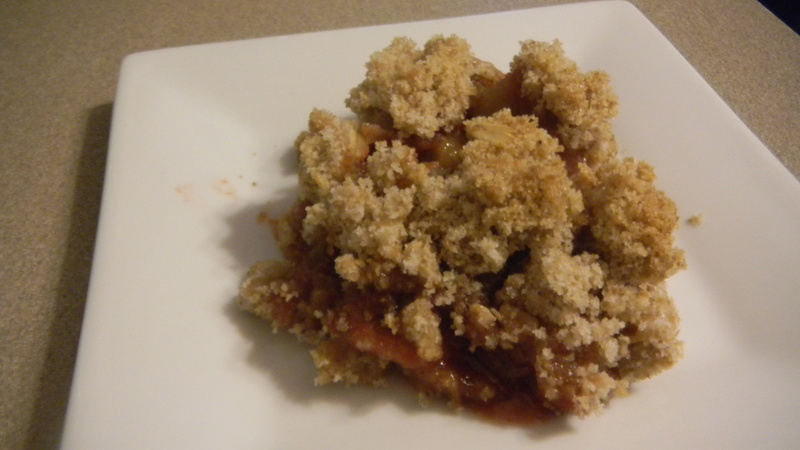 I had seen this recipe for Rhubarb Crumble in Food Network magazine, and I wanted to try it out. I was warned that rhubarb is quite tart, so I thought I’d change up the recipe a bit to add some sweeter strawberries into the mix. My modified recipe substituted 1 pound of rhubarb for 1 pound of strawberries. Just as an FYI, 1 pound of rhubarb is about 2 1/2 cups of chopped rhubarb. I also left out the hazelnuts, because we didn’t have any. Oh, and I substituted whole wheat flour for regular flour. I think the extra sugar added into the filling compensates for the rhubarb’s tartness. Next time, I wouldn’t add the whole 1/3 cup of sugar to the filling. The strawberries are already pretty sweet. There you have it, a nice lazy weekend meal that tastes delicious. Here’s to hoping that summer weather comes back soon!